Fuel injection has been around on bikes for a while now, and it's here to stay. Given the right information, properly set-up fuel injection can deliver the correct amount of fuel at any time, under any conditions. And an engine can't ask for more than that. The mechanics of fuel injection are pretty simple. A pump delivers pressurised fuel to the injectors, positioned in the throttle bodies through which air to the engine. The injectors are roughly spark plug-shaped, and contain a solenoid-operated valve which, when activated by the bike's electronic brain (the ECU), opens and allows a pressurised squirt of fuel into the airflow. The amount of fuel injected is determined by the length of time the valve is open. The valve's movement is measured in thousandths of a millimetre, and the opening time measured in milliseconds. The clever bit is how the ECU decides how long the injector's valve needs to be open. It does this by measuring a whole load of engine parameters - throttle position, engine speed (rpm), engine temperature, intake air pressure, which gear the bike is in, plus any number of others depending on how advanced it is - then calculating how much fuel is needed by comparing the values to masses of pre-determined criteria. For example, if the engine is running at 80°, on three-quarters throttle, in fifth gear, at 7523rpm and it's pretty cold outside, the ECU cross-references all that data with the pre-programmed information and knows just how long to open each injector for. That pre-programmed data is known as a 'map', and it's this that gets changed when a bike is tuned with an aftermarket add-on like a Dynojet Power Commander or Yoshimura EMS Box. The information itself comes via sensors attached to various bits of the bike. Occasionally - although not often - these will fail, and a warning will be displayed either with a flashing light on the instrument panel or a failure code on the bike's LCD display. The more information the system has to work with, and the faster it can be dealt with, the more precise the fuel delivery. Recently we've seen a shift from 16- to 32-bit processors, enabling faster processing of more data. But bikes have a long way to go to match the car world. A bike's ECU is doing well if it can cope with 4,000,000 instructions a second; BMW's new M6 has one of the most powerful engine management systems yet developed, boasting over 200,000,000 operations a second as it deals with data from more than 50 sensors. Bikes have yet to need such complex systems, although it won't be long if emissions laws keep getting stricter. So is fuel injection always better than carbs? "If manufacturers get everything right then fuel injection is better every time," reckons FW Development's Frank Wrathall. "It gives us greater control over fuelling so we can control emissions better. From a tuning point of view the only exception I can think of is the Yamaha R6. Tuned, pre-injection R6s make more power than tuned injected ones. Part of the reason is that the engine has basically been retro-fitted with injection rather than designed around it." That example aside, fuel injection has other advantages over carbs. From a tuning point of view, it's a lot easier to adjust fuel injection than it is to repeatedly strip, adjust and rebuild a set of carburettors. Simply plug in a laptop and do it with a few keystrokes. You need to know exactly what you're doing, but the same applied to carbs - only a different set of skills are needed. The other advantage fuel injection has over carbs is its physical size. Four injectors, their throttle bodies and fuel supply take up far less space than a bank of carbs. This gives manufacturers far more scope for angling inlet tracts as vertically as possible, so gravity can give the incoming fuel/air an added boost. It also gives more flexibility for the positioning of airbox and fuel tank, used to great effect by Honda with their mass-centralised CBR600RR and Fireblade, whose fuel tanks inhabit the space where, a few years back, carbs and airbox would live. 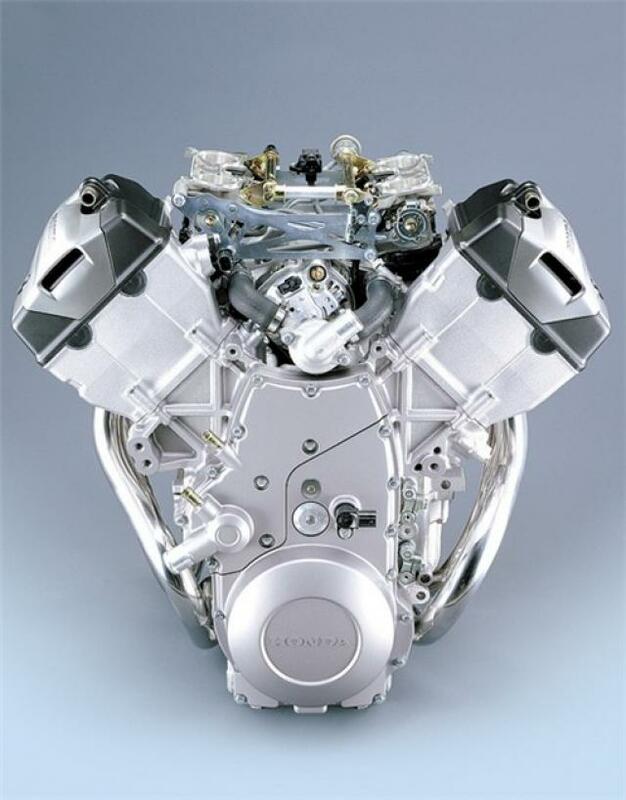 V-configuration engines benefit too, notably Honda's V-fours, which always struggled for space between the cylinders. The RC45 had to be injected - there wasn't enough room to fit carbs big enough. There was another advantage: the space between the V-four motor's cylinders is one heck of a heat trap, and fuel sitting in the carbs' float bowls could vaporise. Fuel injection's pressurised supply solves that problem too. Many racers' first impressions weren't exactly positive, as Niall Mackenzie recalls: "My first experience of fuel injection was riding the Virgin Yamaha R7 in 1999. At that point the team didn't have the information to set the bike up. Yamaha were in the dark too and struggling with Haga in World Superbikes. The biggest problem was our limited mapping knowledge. We'd set the ECU up and the bike would run fine, then the weather would change, the ECU would over-compensate and the bike wouldn't run right. We ended up picking a setting that worked then disconnecting everything so the system couldn't change. "Initially I disliked fuel injection. Carbs gave a nice progressive feel which injection didn't have then. With fuel injection you'd get a kind of dull spot in pick-up going from a closed to open throttle. It wasn't smooth, not all-or-nothing but a bit clinical and a bit hit or miss. "Now injection is pretty refined and very difficult to fault. I never really think about it now. When I test a new bike or go on a launch I'm really conscious of throttle response but it's getting very hard to pick faults, especially with the new 600s. "Of course the only disadvantage with fuel injection now is that you can't do backfires." While bike fuel injection systems are bringing up the rear in technology terms, they are evolving. We're now seeing more bikes appear with various configuration of dual injector set-ups. The problem with a single injector set-up is that for optimum low- and medium-speed running and a quick throttle response you want to place the injector close to the inlet port. However, at higher engine speed it's preferable to place the injector further back so the fuel has more time to atomise before it reaches the cylinder. The solution is to fit two injectors, one close to the cylinder and one further back. Honda's dual injector set-up, first seen on the CBR600RR, mounts the second injector high in the airbox, pointing vertically down into the throttle body like a shower-head. Suzuki's take, seen on the 2005 GSX-R1000, puts the secondary injector above the first, but downstream of the secondary throttle valve and angled obliquely across the airflow, rather than more directly into it as the primary injector is. 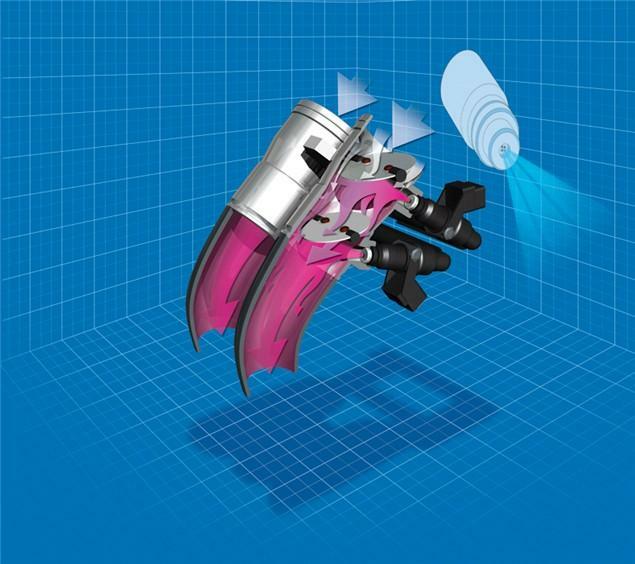 In each case, the secondary injector only operates above certain rpm and throttle openings. This also allows the increased fuel flow to neatly side-step emissions regs, testing for which is carried out before the secondary injector comes into play. Advances in injector technology have seen manufacturers experiment with different types of single and multi-hole injectors in an effort to deliver a finely atomised spray of fuel into the inlet tract. Suzuki currently opt for a four-hole injector, while Honda are using 12-holes on their shower-head set-up. The standard hardware is up to the job, too. "A 1000cc motor is good for 220bhp on standard injectors," reckons Frank, "and Hayabusas can be tuned for 300bhp on standard equipment. Standard injectors, pump and fuel pressure is ample for anything you could choose to do. "But while the hardware is good to go, standard maps can leave a lot to be desired. "Fuel injection is only as good as its map," explains Frank. "Some are horribly wrong, and none are right everywhere. But it can't be absolutely right because manufacturers' hands are tied by regulations. A rich mixture flattens the exhaust note, so some bikes run rich where the noise test is carried out. People think Power Commanders are only relevant to modified bikes, but every fuel injected bike can have its map improved." Frank Wrathall is the 'FW' behind FW Developments, one of the most successful tuning outfits in the country and the name behind some of the fastest motors in BSB. He also heads up Dynojet UK, so knows as much as anyone about getting the best out of fuel injection systems. And good old carburettors, for that matter. Given the right information, properly set-up fuel injection can deliver the correct amount of fuel at any time, under any conditions. And an engine can't ask for more than that.